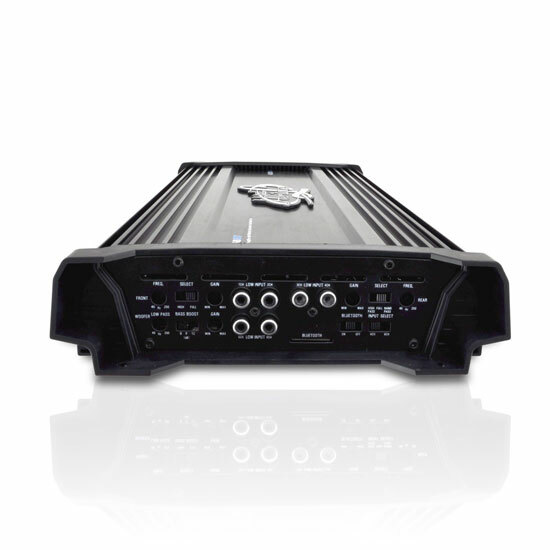 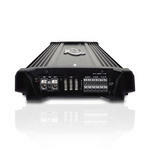 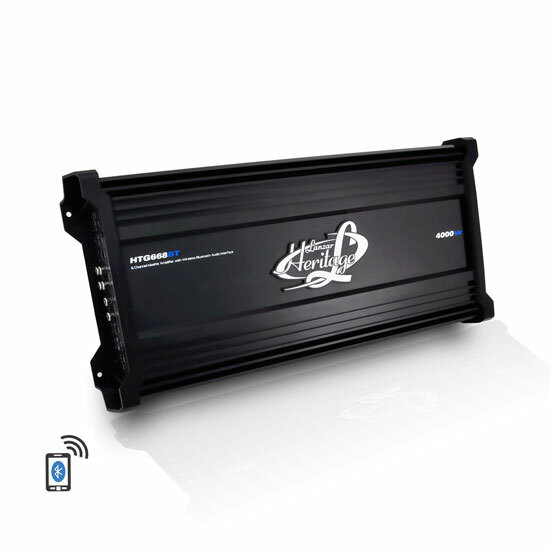 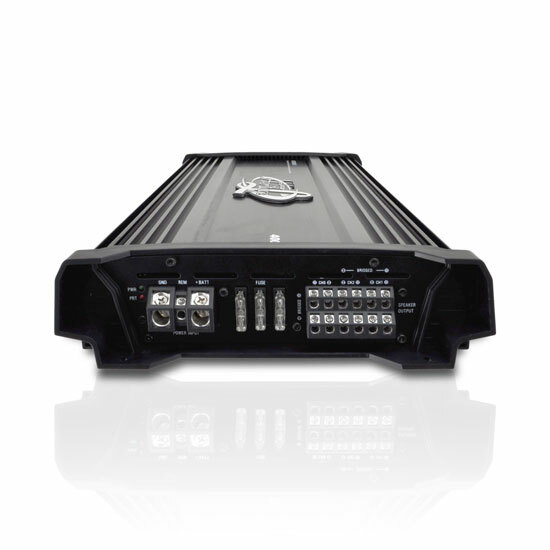 Upgrade your audio system with Lanzar's next generation power handling and distribution amplifier technology. New for 2014, Lanzar introduces the innovative Heritage Series Bluetooth Amps that combine high-performance audio processing power with Bluetooth wireless streaming capability! 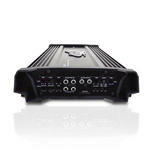 With built-in Bluetooth, you'll be able to wirelessly stream audio from virtually any Bluetooth device -- quick and easy. 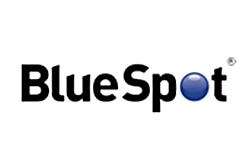 Instantly stream your favorite tracks from your smartphone or tablet; you can also stream your favorite internet radio providers like Pandora, Spotify, iHeart, etc. 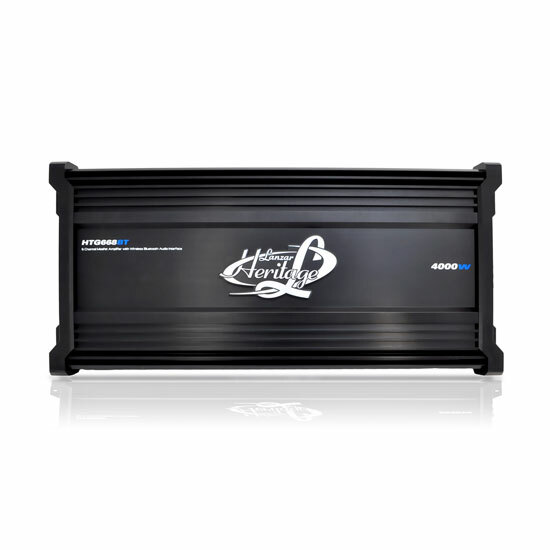 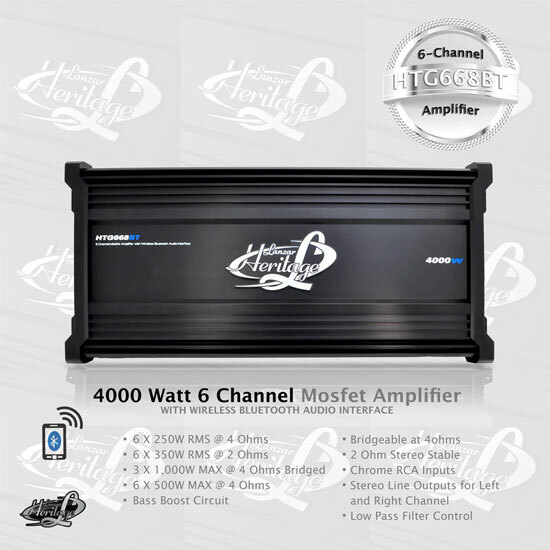 Engineered to perform and packed with versatile sound specialization, the Heritage Series Amps also feature MOSFET efficient power processing, bass boost circuitry, 2 Ohm stereo stability, bridge-ability and plenty more features to amplify and satisfy. 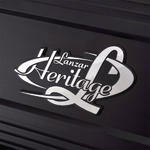 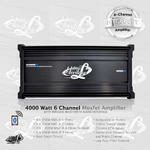 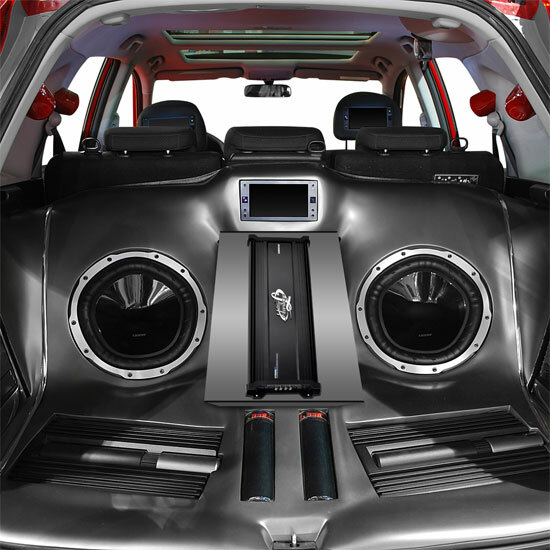 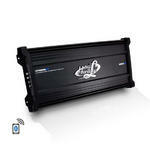 Join the trend of Bluetooth and sound amplifying power with Lanzar Heritage (HTG) amps.